A college student from New Jersey took the phrase, do it yourself, to a whole new level when he 3D printed his own retainer to fix his crooked teeth. Amos Dudley, 24, didn’t want to shell out massive amounts of cash for dental services. Being a crafty guy and a design student, he decided to take a mould of his teeth and print a homemade retainer using a 3D printer. Dudley started off by taking impressions of his teeth with a conventional putty-like material, resulting to a plaster model. Using a laser scanner, he turned the plaster model into a digital replica. 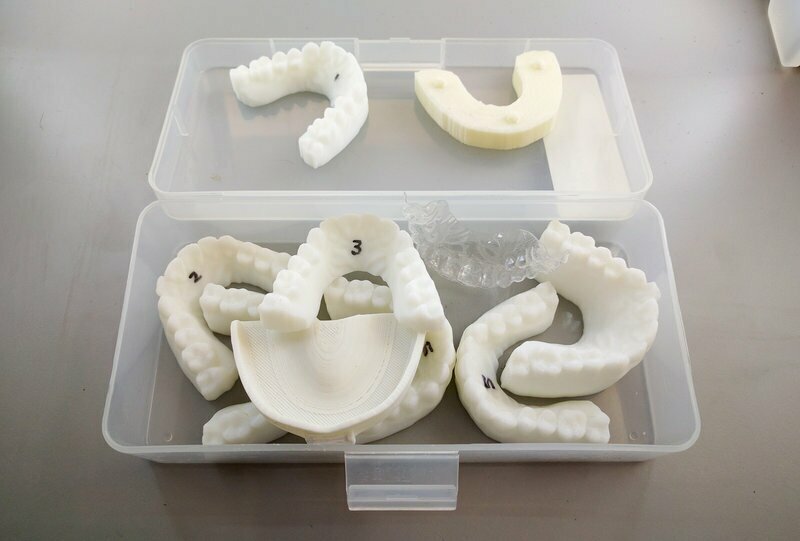 With the help of 3D software and math, he was able to create models for fixing his teeth, which he took to the 3D printers at the college and printed a dozen of his personal retainers. He would wear an aligner between one and three weeks each, and would switch to the next when one no longer felt like it was exerting pressure on his teeth anymore. Dudley’s personal 3D printed retainer shocked and impressed orthodontist Dr. Richard Bloomstein, who stated that “maybe” the retainers may have worked as well as a dentist might have done it. The student did not realize that he had stumbled upon a marketable idea, given that traditional orthodontic care usually thousands of dollars. Many took note of Dudley’s work, and he has received several business offers, but he declined them, having no interest in the matter…except for a 3D printer company that wants to hire him.